Free Play the Cricket Star Online Pokies Game Here. The “Cricket Star online slot” is a highly entertaining game that was developed by Microgaming in honour of the 2015 Cricket World Cup. As its name suggests, this video slot’s theme is based on the popular game of cricket. It comes with 5 reels, 3 rows and 243 different paylines, making it a highly playable as well as lucrative online slot. Like most others games in this given category from Microgaming like Rugby Star and Basketball Star, this one offers complete assurance of players obtaining a fair opportunity of winning a few bucks. This is largely due to the fact that it is fully certified as being random, and it integrates guaranteed payment percentages. All the base game reel symbols are based on icons related to the game of cricket. This includes portraits of notable players from prominent countries which excel in this sport, umpires and also groups of passionate fans. In this particular regard, this video slot is very peculiar in that it does not have the normal playing cards symbols appearing in any of its 5 reels. On the other hand, the cricket ball is the scatter symbol in this Microgaming online slot, which is the one that triggers the free spins bonus rounds. While the cricket star logo happens to be the wild symbol, and comes stacked on reels 3, 4 and 5. Like earlier noted, the cricket ball scatter symbol is the one that initiates the main bonus feature. 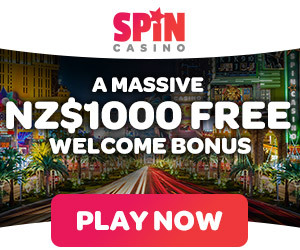 Generally speaking, when you manage to obtain at least 3 scatter symbols at any place on the reels, you will be able to trigger the free spins bonus. 3 of these scatter symbols will reward you with 15 free spins, 4 of them will provide you with 20 free spins and 5 of them will give you 25 free spins. Additionally, what is known as the rolling reels’ feature can come into play, both in the base game and the free spins bonus rounds. This can increase the multiplier after each consecutive win by up to x10, enabling you to obtain very high payouts. At the same time, you can be rewarded by triggering the wild wickets’ bonus game, which can be obtained in any base game spin. In this particular bonus reels 2, 3 and 4 are randomly selected and then converted into wilds. When you manage to obtain at least 3 of these converted wilds appearing on these reels, you will be able to access up to 243 possible winning combinations. All these bonus feature makes this Microgaming video pokie one of the most exciting and also lucrative of its kind currently available online. Before playing the “Cricket Star online slot” you will first have to select an appropriate bet size. You will then be required to select a suitable bet denomination, by making use of the arrow buttons located just beneath the middle reel. Finally, you will have to choose an appropriate coin size, before you can be able to initiate the game by clicking on the spin button to roll the 5 reels. On a parting shot, if you wish to activate all the 243 paylines, you will be obliged to wager 50 coins. Google + Profile: Tina Lim on August 18, 2016. on September 6, 2016.